WhatsApp is jumping on the Messenger, Instagram, and Snapchat bandwagon with the launch of new camera features that lets users further personalize their photos and videos. 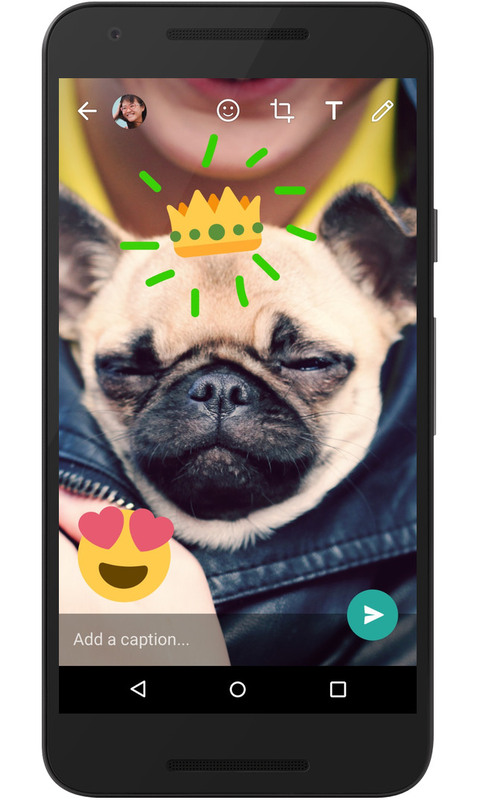 Users can now write, draw, and even add emojis to their media before sending it to family and friends. The native WhatsApp camera now supports front-facing flashes, so you can take those nighttime self-portraits without turning to another app. In addition, the Snapchat-like recording controls that were introduced into Instagram have made it to WhatsApp. Users can double-tap to switch between front and back cameras, and swiping up and down will zoom while you’re capturing videos.